When it comes to your MINI, you expect only the highest performance and a comfortable, safe drive. MINI vehicles are very well-build and specially crafted for the ultimate driving experience. An intricate vehicle requires a specialize auto repair center to properly repair and service your MNI. At Meissner Automotive, we have been providing exceptional MINI repairs and services for over 50 years. Our ASE certified technicians are specially trained and experienced in working with MINI vehicles. Our auto repair shop is the trusted choice for MINI auto repair in Palo Alto, CA, and surrounding areas. Our master mechanics can work on all makes and models of MINI vehicles. Whether your MINI needs a regular inspection, oil change, scheduled maintenance, brake repair, and more, we can help. Our shop, unlike some of our competitors, is equipped with high quality tools and state-of-the-art technology to properly diagnose and handle your vehicle. 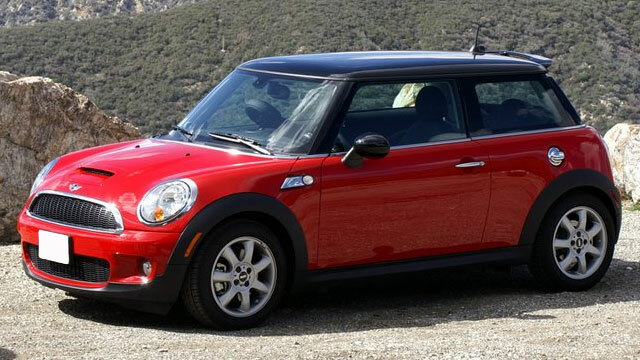 When you bring your MINI into our auto repair shop, we take the time to run extensive tests on your vehicle. Our staff with educate you on our recommendations and which services are needed to ensure your safety on the road. Our goal at Meissner Automotive is to get you back on the road safely and to boost the performance of your vehicle. Our MINI repair shop services Palo Alto, Mountain View, Menlo Park, Stanford, and surrounding areas. Our auto repair shop provides excellent customer service, knowledgeable staff, and honest, fair prices. We back all of our services with a 2 year/24K mile warranty on our parts and labor. We also offer a comfortable waiting area for our customers with free Wi-Fi for your convenience. If you have any questions about your MINI, give us a call at Meissner Automotive and we can help you schedule your next auto repair appointment with us. We look forward to servicing you soon!